Senior Centres are health promoting, capacity building, and community focal points on aging where older persons come together for services and activities that enhance their dignity, support their independence and encourage their involvement in and with the community. Senior centres are open to all individuals 55 years and older, or retired. Senior centres provide programs that offer core health services, are governed by a community-based board of directors, respond to diverse needs of older persons, hire professionals, provide education, develop innovative programming approaches, and are a community resource for information on aging. Aging is a normal part of the developmental process. We all need peers with whom they can interact and who are available as a source of encouragement and support. As older adults we have the right to have a voice in determining matters in which we have a vital interest. A person’s sense of well-being is enhanced when one obtains balance and satisfaction in the various personal components, such as emotional, physical, social, intellectual, and spiritual. Members and Volunteers form the backbone of senior centres. The Association is a provincial focal point to facilitate communication, networking and planning among senior centres and raise their profiles. The Association also assists in the development of senior centres and collaborates with other senior serving organizations. 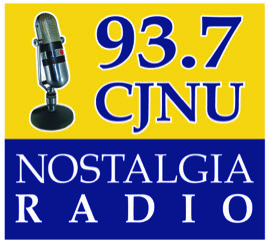 Nostalgia Broadcasting Cooperative (CJNU 93.7 FM) is not-for-profit, community service cooperative and a part of a team dedicated to providing our listeners with the nostalgia music they want. MASC and its member centres are actively involved with activities at CJNU.